We are a leading manufacturer and exporter of automatic link forming machines and tools. 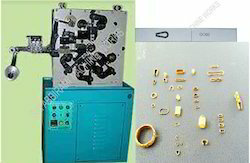 These machines and tools helps you to manufacture chains, bracelets, watch straps, beads link etc. Our organization is eminent in manufacturing and exporting a qualitative range of Batani Chain Machine that are made from top grade raw material. These machines are available in different specifications as per the requirement of clients. Widely used for making beautiful and alluring bracelets, chains, rings etc., these machines are known for excellent performance, strength and cost effective rates. We manufacture and supply a reliable and cost effective range of Watch Straps Link Forming Machines that are widely used for designing watch straps and belts. Our machines are known for their smooth performance and efficiency. These are fabricated under the supervision of engineers, who keep on testing them on quality basis to give a final touch to machines. These machines offer an outstanding functionality and are available at very reasonable prices. The extensive range of Moon Oval Link Forming Machines offered by us is manufactured as per industry standards. Our wide assortment of machines are sturdy, superior and durable. Our skilled artisan/jeweler also carve jewelry as per the given specifications of clients. These machines are available in different dimensions and capacities and can be availed at market leading prices. We offer a broad range of Necklace Back Chain Link Forming Machines, which are generally used to design amazing chains for necklaces. These machines are equipped with high spindle speed that provide an excellent and precision finish to chains. Our machines are made from graded raw material that results in smooth performance, durability and reliable services. We have made them available at most reasonable prices. 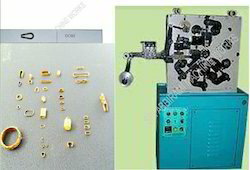 We offer a quality range of Kadambam Link Forming Machines, which are suitable for making different kinds of jeweleries. Fabricated using quality materials, these machines are appreciated for durability, reliability and dimensional accuracy. To cope up with ongoing market trends, these machines are well built with excellent features that facilitates productivity. We provide these machines at economical prices. Our organization is eminent in manufacturing and exporting a qualitative range of Gobi Link Forming Machines that are made from top grade raw material. These machines are available in different specifications as per the requirement of clients. Widely used for making beautiful and alluring bracelets, chains, rings etc., these machines are known for excellent performance, strength and cost effective rates. We are manufacturing automatic link forming machines for chain, bracelet, watch strap link, beads link, and customer required shapes, etc. This Machine works with interchangeable tooling in accordance with the shape and design of the links to be obtained. The working cycle is composed by the wire feeding, wire gripping which is operated by cams. Cutting and subsequent forming which is executed by the tools moved by the cams. The machine is supplied with wire straightening device and winding spool. This machine having manual rotation unit for initial setting and also having atomics counter which is executed by proximity sensor for counting the number of links to be obtained. Click on the picture to view the samples manufactured using the automatic link forming machines. 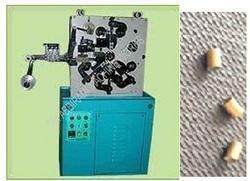 These machines are used for manufacturing chain, bracelet, watch strap link and beads link etc. Note: The design can be changed at any time without notice. Our organization is eminent in manufacturing and exporting a qualitative range of Anjali Chain Machine that are made from top grade raw material. These machines are available in different specifications as per the requirement of clients. Widely used for making beautiful and alluring bracelets, chains, rings etc., these machines are known for excellent performance, strength and cost effective rates. Our organization is eminent in manufacturing and exporting a qualitative range of Kavadi Link Forming Machine that are made from top grade raw material. These machines are available in different specifications as per the requirement of clients. Widely used for making beautiful and alluring bracelets, chains, rings etc., these machines are known for excellent performance, strength and cost effective rates. Our organization is eminent in manufacturing and exporting a qualitative range of Goa Anjali Chain Machinethat are made from top grade raw material. These machines are available in different specifications as per the requirement of clients. Widely used for making beautiful and alluring bracelets, chains, rings etc., these machines are known for excellent performance, strength and cost effective rates. We offer a large assortment of Minmini Link Forming Machines to meet the growing demands of Jewelery industry. Our experienced team of designers formulate them using modern technology to come up with superior machines that can easily facilitate hassle free operations. These machines are reliable as well as durable and also well checked by our experts as per the ISO standards. We offer these link forming machines at competitive rates. We are one of the leading companies engaged in manufacturing Beads Link Forming Machines. These are used in diverse industries to fabricate ornaments and jewelery. Available in various innovative designs and sizes, our experts made them using reliable raw material to cater the requirement of clients. 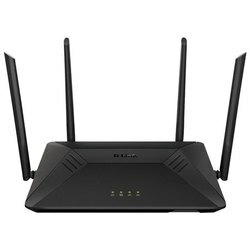 Available in different specifications, these can be easily availed at unbelievable rates. We are the leading manufacturer and supplier of Gold Chain Link Forming Machine. 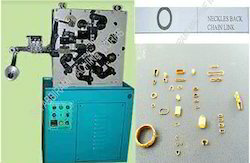 We are the leading manufacturers of Gold chain Link Forming machine. Our organization is eminent in manufacturing and exporting a qualitative range of Kakatteya Chain Machine that are made from top grade raw material. These machines are available in different specifications as per the requirement of clients. Widely used for making beautiful and alluring bracelets, chains, rings etc., these machines are known for excellent performance, strength and cost effective rates. 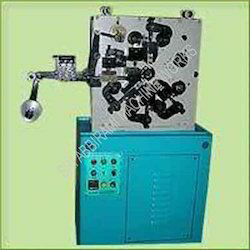 Our organization is eminent in manufacturing and exporting a qualitative range of Bhodhu Chain Machine that are made from top grade raw material. These machines are available in different specifications as per the requirement of clients. Widely used for making beautiful and alluring bracelets, chains, rings etc., these machines are known for excellent performance, strength and cost effective rates. 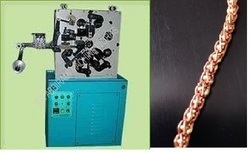 Our organization is eminent in manufacturing and exporting a qualitative range of Bharat Link Chain Machine that are made from top grade raw material. These machines are available in different specifications as per the requirement of clients. Widely used for making beautiful and alluring bracelets, chains, rings etc., these machines are known for excellent performance, strength and cost effective rates. We offer a broad range of Bracelet Link Forming Machines, which are generally used to design amazing chains for necklaces. These machines are equipped with high spindle speed that provide an excellent and precision finish to chains. Our machines are made from graded raw material that results in smooth performance, durability and reliable services. We have made them available at most reasonable prices. Looking for Link Forming Machines ?